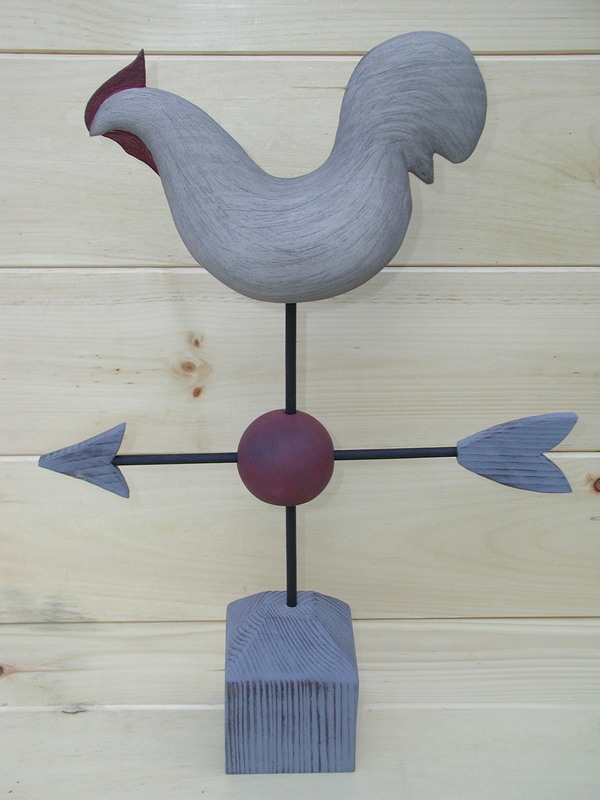 Fashioned after an old New England weather vane, our robust Rooster Weathervane features a weathered look with a faded red comb and beard. Its antiqued-white finish lends authenticity to its antique heritage. 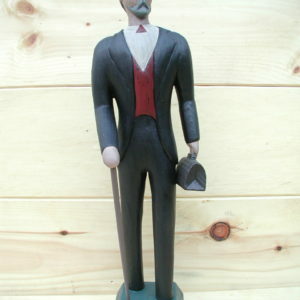 This stately rooster would look great in a rustic country setting or perhaps a special place on the fireplace. 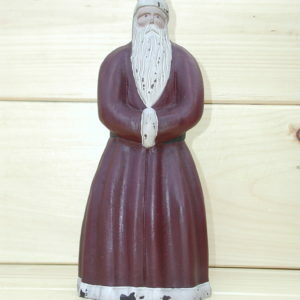 Features include a inserted wood beard and comb and an antique paint finish. 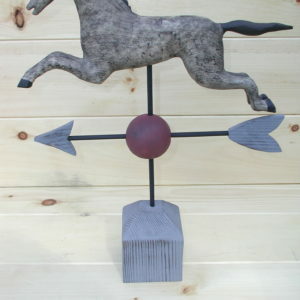 Comes complete with an arrow base. It measures apprx. 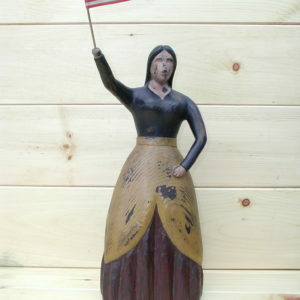 11″ long x 4″ wide x 23″ high.